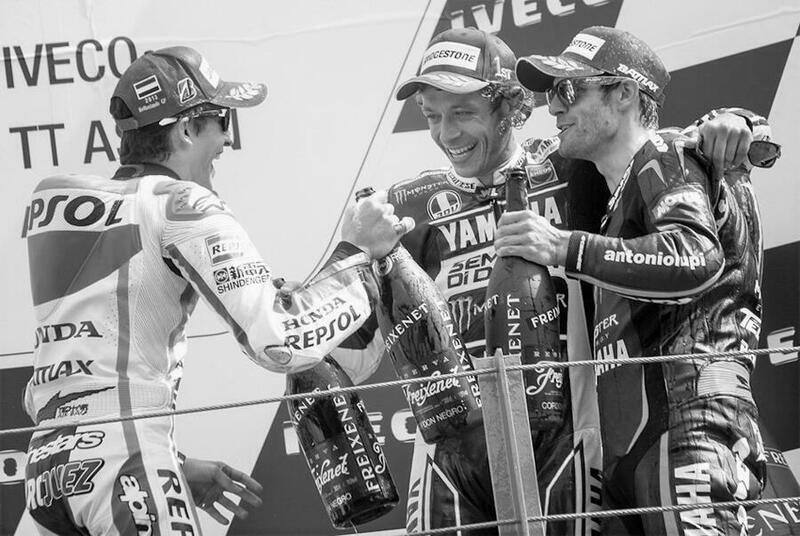 The 2013 MotoGP Assen TT was a cracking race. Cal Crutchlow had taken his first pole position - the first for a British rider since Jeremy McWilliams in Australia 2002. Crutchlow's bike is a second tier Yamaha effort so isn't as fast as the factory team's bikes. Over a lap he can ride as fast as anyone but with a full tank of petrol he is hampered by a poorly positioned fuel tank. At the start Crutchlow fell back to 5th behind the Hondas of Pedrosa and Marquez and Valentino Rossi on a factory Yamaha. Jorge Lorenzo had crashed and fractured his collarbone in practice. He flew home to Spain, got it screwed together and flew back to the race, where he started 15th. Yet he shot through the pack off the line and sat behind Crutchlow for a few laps. Take a look at this video to see how bad his crash was. Rossi picked his way past the Hondas whilst Lorenzo darted past Crutchlow in the early stages of the race. Marquez and Pedrosa had a tussle, with Marquez coming out on top. 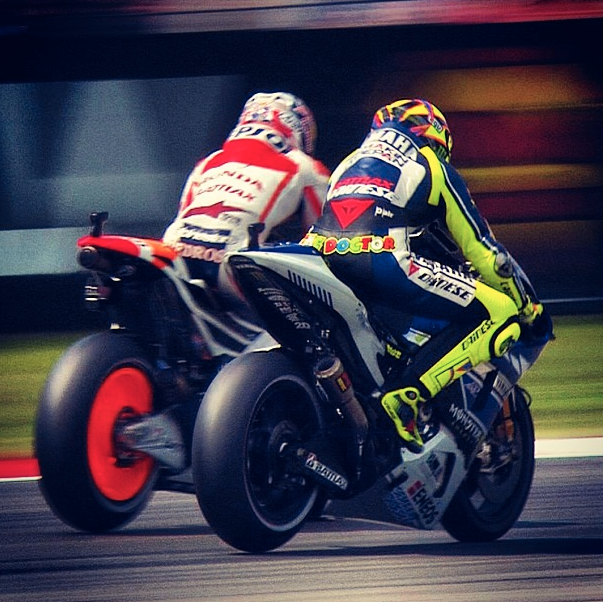 Then he set off after Rossi. With Lorenzo's collarbone starting to affect his performance, and Crutchlow's bike coming up to speed after he'd burnt off some fuel, Crutchlow despatched Lorenzo for 4th place. Rossi stayed in the lead whilst Cal pushed past Pedrosa for 3rd place. On the second to last lap he tried a move on Marquez but they brushed tyres and Crutchlow rode wide, narrowly avoiding going off the circuit. Rossi took the win in style - his first since Malaysia 2010 - to massive cheers from the partisan crowd. Marques finished 2nd and Crutchlow a magnificent 3rd, on a satellite bike. Lorenzo finished 5th, behind Pedrosa and collapsed in agony back in the pits. It was a fantastic race full of magnificent stories of skill and bravery, and the first MotoGP event I've watched live this year. Cal putting his Tech3 Yamaha on pole combined with the race being held at the legendary Assen circuit means this wasn't to be missed. It's also the first F1 qualifying I've missed since 1994. 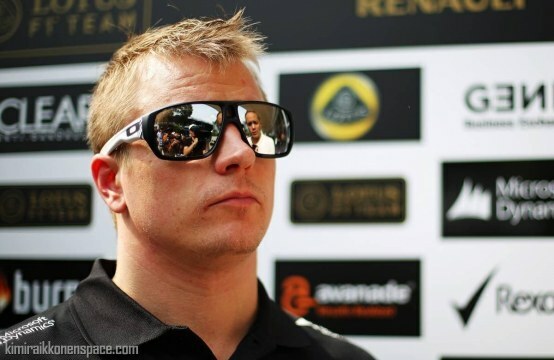 I'm thoroughly bored of F1 and apparently it was a pretty humdrum session, the highlight of which was the speculation about what Kimi has done to his hair.